Photo used with permission of Klick Pharma: ©2011, http://klickpharma.com/. All rights reserved. It's been exactly one year; seven months and eleven days since I was diagnosed with lupus but hey who's counting! I often take a step back to take a peek at the footsteps I've left behind in the sand on my path and am rendered speechless at how far I've come on my health journey. One thing is sure; my journey is NOT over and there is still so much more to be done! Months and in most cases years of pouring our souls out into the ether while sharing our patient experiences about our various illnesses online with other patients has evolved into so much more than we could ever have imagined. 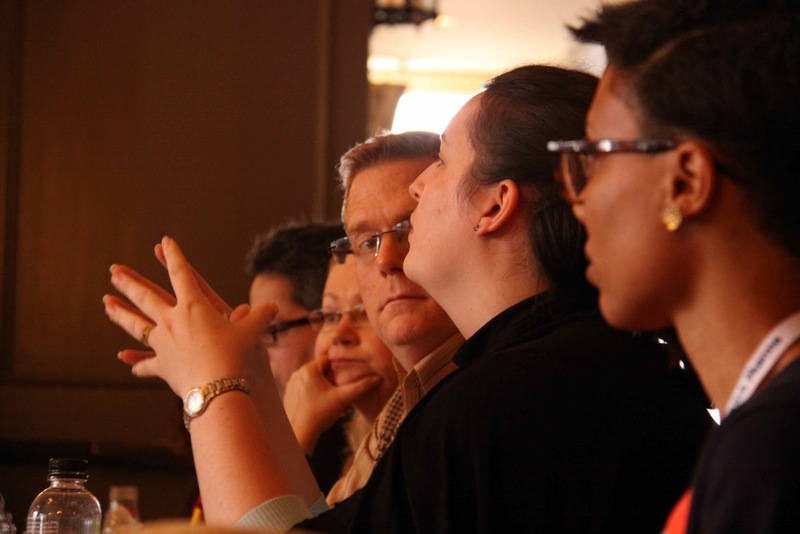 The pain, passion, and perseverance of the digital patient has created a community! Through community the powers that be took it upon themselves to gather a group of remarkable "ePatients" from across the country and bring them to Philadelphia for a day of health centered groundbreaking activities. When I say "ePatient" I don't mean electronic; my description would be: a patient who endeavors to become an educated health consumer while also encouraging, engaging, and empowering others to do the same. 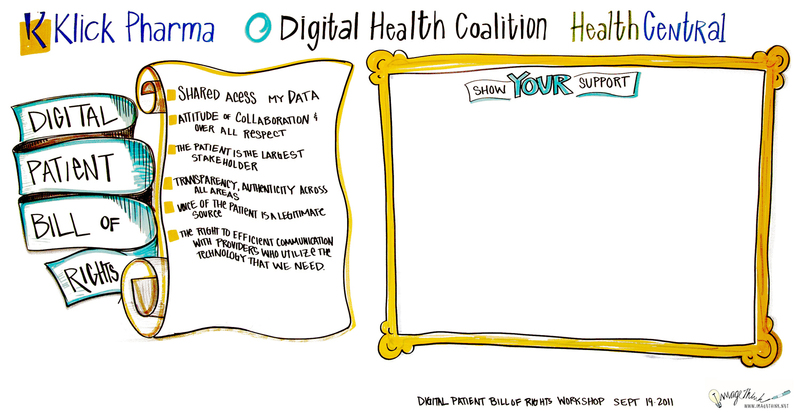 Thanks to the amazing folks at Klick Pharma, HealthCentral, Wego Health and the Digital Health Coalition 20 exceptional ePatients gathered together around a round-table to brainstorm the beginnings of the very 1st "Digital Patient Bill of Rights". Minutes quickly turned into hours and after about four we had finally come to a united agreement on what the main goals/points of our key messages were to establish. I for one am honored to have been given the opportunity to speak on behalf of patients in regard to creating a "Digital Bill of Rights". Though we are far from the finished project; as this is a work in progress. Do stay tuned to Klick Pharma to be aware of more current updates regarding this bill. Overall the most important things to remember are that we as patients MUST learn how to become empowered and engaged in our communities; I've discovered that this road almost always leads to self-healing. The internet can be a valuable tool on your journey towards empowerment; utilize it! You have the power through the internet to make your voice heard! Take a stand for your health whether for your benefit or the life of another and remember that knowledge is power, but only if you pass it on! 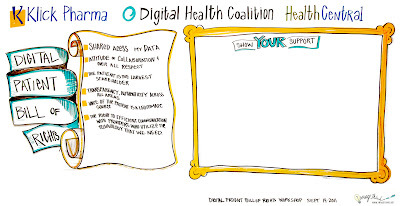 For a complete view of slides from the "Digital Patient Bill of Rights" Whiteboard & a contact list of the Digital Patient panelists please visit the Klick Pharma blog. What are your thoughts on this "Digital Patient Bill of Rights"? Do you feel everything was mentioned? If you could contribute your valuable input to the bill what would you add? Here's your chance to share your thoughts; I'd love to know your perspective on it!